The Goods and Services Tax (GST) has been touted as the biggest reform in India’s indirect tax structure. It has introduced a single tax on the supply of goods and services, from manufacturing to delivery to the final consumer. This has eliminated the need to register with multiple tax platforms and also for filing multiple tax returns. The biggest benefit though is that it envisages establishing a One India -One tax market which shall considerably enhance the ease of doing business. Prior to the implementation of GST, India was like one country but with multiple markets. For instance, a smartphone that attracted a VAT of 5 percent in one state attracted 12 percent in the other. Each state having its own tax laws meant we had close to 30 different markets within one country. This anomaly had long acted as a deterrent for prospective investors to invest in India. With GST, the government rightly intends to correct this. 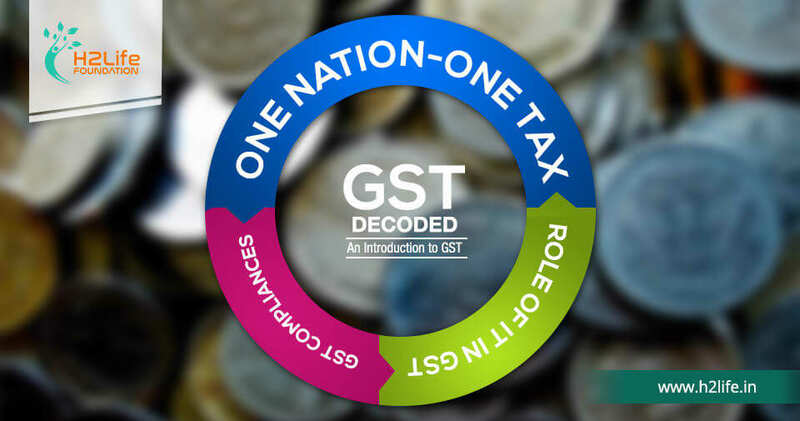 GST is a unique and complex IT initiative as it establishes a complete digital platform from inception to delivery, to link the taxpayer with the center and states. It has also integrated multiple tax departments, bringing all the tax administrations (center, state, and union territories) on a common platform. Tax automation is critical to meeting the regulatory requirements under GST and a high level of synchronization is required between the taxpayer’s system and the GST system, which will be very difficult to achieve without automation. Item-level details in invoices along with reconciliation of sales register with auto populated purchase register and auto reversals will be key data processing requirements under GST compliance. Sale and purchase data uploaded by the taxpayer will contain a Combination Key comprised of the supplier’s GSTIN, invoice number, financial year, and HSN/SAC Code. This will make each line in GST database unique. Correct data entry of this key field will therefore be very important for taxpayer compliance. Incorrect data entry in this important field may result in mismatches between seller information and the buyer’s claim for GST credit, which unless rectified, will result in an eventual denial of credit to the buyer. Government has set up a Goods and Services Tax Network (GSTN) to be at the center of the GST IT ecosystem. GSTN is a non-profit, public private partnership company with the primary purpose of providing IT infrastructure and services to all stakeholders. The common GST portal developed by GSTN will function as the front-end of the overall GST IT ecosystem. All businesses that are currently registered with CENVAT or have an annual turnover above Rs.10 lakh in case of north-eastern and hill states, and Rs. 20 lakhs in rest of India come under GST. It is estimated that the GST system will collect tax from more than a crore taxpayers. These taxpayers will generate over 300 crore B2B invoices monthly. There is a total of 37 returns, three returns every month plus one annual return that have to be filed under GST. There is also an annual return to be filed by the 31st of December of each year. There are other returns for other categories of taxpayers like casual taxpayer or composition taxpayers. Accessing the GST filing system directly through the GSTN portal may not be a good option for many taxpayer organisations as it offers only a limited interface. GST Suvidha Providers (GSP) have been appointed to create and provide IT applications and software to provide user friendly and customer-focused GST filing facility to taxpayers. These applications will connect with the GST filing system via secure GST System APIs. The GST is complex and still a new baby for most of us. Employees working with most organisations, especially the ones that interface with customers as part of their daily routines do need a helping hand. H2 Life has made the tough job easier for you. Our experts train and certify your employees regarding the various rules and regulations and make them aware of the best practices to be followed at the office. After going through this training, there would never ever be any incorrect invoice raised nor would there be arguments with customers related to GST compliance. Overall, happy employees and satisfied customers are bound to accelerate business growth.